It is said that “A mother’s arms are the most comforting than all the comforts of the world” After the birth of the baby the mother’s feelings are directly associated with that of the baby. If the baby sleeps well, the mother also feels relaxed and calm whereas if the baby is persistently crying or restless, the mother is always there for the baby. A mother is always worried about the baby no matter how old the baby is. Mothers are prone to have sleepless nights yet take good care and are strong enough to handle all the worries related to the baby but in case the baby has reflux issues, the task becomes a challenging one. It is equally important to know what reflux condition is and what are the causes and symptoms? How to diagnose and treat the same. Reflux and GERD are the pre-conditions that result in Sandifer Syndrome. Let us now have a brief synopsis of all these topics and have a better understanding of the Sandifer Syndrome. 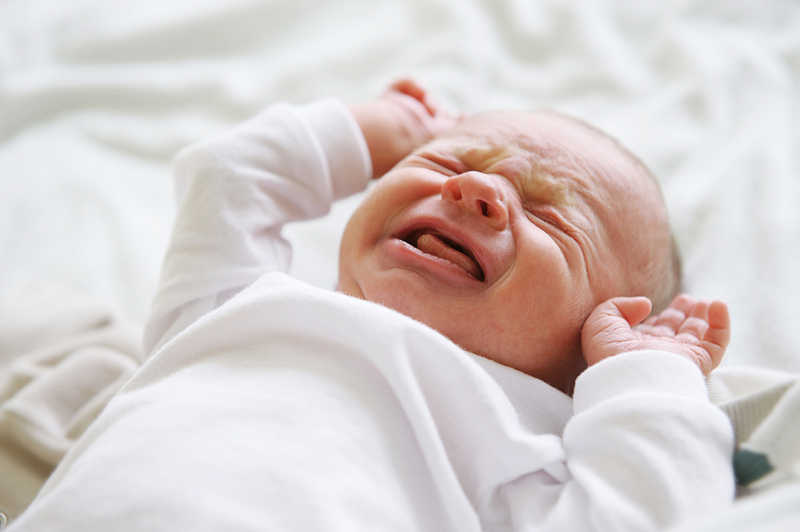 In case the baby spits more than the required amount or arch the back during feeding time and is fussier than the other babies of her age, then it is an indication of a reflux in a baby and consulting a medical practitioner is the ideal step but if not shown at the right time can lead to Sandifer Syndrome. The complaint of the upper gastrointestinal tract with neural indicators is what is referred to as Sandifer Syndrome. It can be observed in infants, young babies and adolescents. Sandifer syndrome is an unusual condition that can be found in children of ages 18-24 months. It results in strange neck movements that look similar to a seizure. This condition is actually caused by acute acid reflux or GERD which is also known as gastro-oesophageal reflux disease. The medical practitioners are not too sure about the real cause behind Sandifer Syndrome. But it is believed to be an issue related to the lower oesophagus that heads to stomach, together which can result in GERD. This is indicated by discomfort in throat or chest pain. All the movements that are related to Sandifer Syndrome are basically a child’s reaction to any pain or can even be a way to ease the discomfort that is caused. What Are The Symptoms Of Sandifer Syndrome? Abrupt head and neck movement to one side, with the legs facing the opposite side. How To Diagnose Sandifer Syndrome? In case of any of the symptoms mentioned above, it is best to seek medical help. The frequency of the seizure in a day. The results after seizure take place. Thus, it is important to keep a record of the events of seizure. A proper tracking by the parents can help the doctor in diagnosing the issue. In case the doctor is not sure he can get a Video EEG monitoring done for a better diagnosis of the issue. Bringing down the warning signs of GERD is the major aim of the treatment for Sandifer syndrome. The indicators of the Sandifer syndrome are quite terrifying ones. This can lead to a panic situation with parents as well. Generally, the baby might not need any treatment unless the symptoms arise from the acute condition of GERD. Increase the feed at frequent intervals but decrease the quantity. Always keep the baby’s head elevated during the feeding session. Always ensure to burp the baby for a period of 20 minutes right after every feed. Once the feed is over, let the baby be in an upright position for good 20-30 minutes. Offer Thick, Consistency Feeds: The ideal way to do this is to mix rice cereal with the formula milk and the ones fed on mother’s milk can be offered prior to feed. Alter The Formula: The doctor can recommend altering the baby’s formula. In case the doctor suspects the baby to be lactose intolerant the doctor can make you switch to a soy-based milk formula. Medication: If at all the above options do not work, the medical practitioners can suggest some strong medicines. Most of these medicines may have potential side effects. Therefore, your child’s doctor will go for medication only after weighing the benefits against the risks. Surgery: The least that can be done is surgery in case the baby shows no improvement but this step can only be taken in case it is an acute case of GERD. During the surgery, the top of the stomach (that connect with the lower esophagus) is tightly wrapped. This tightens the lower esophagus, thereby, preventing the acid from entering the esophagus. Thus, Sandifer’s syndrome by itself is not worrying yet the core reason leading to it which is the GERD is what needs a cure. This syndrome is a very uncommon one yet proper care and attention at the right time can lead to recovery and cure. Next Article How to keep your kids safe from air pollution this Diwali?